The programme focused on supplying construction industry training to community members, with the aim of empowering residents to build their own homes and realize their dreams. 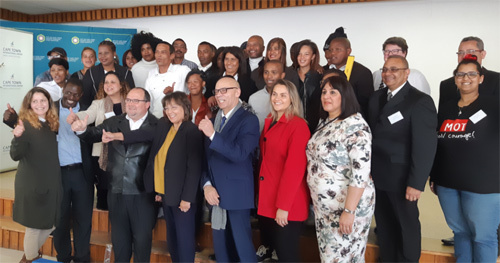 On the 6th September Mayor of Cape Town Patricia de Lille, ACSA representatives and community leaders gathered at the False Bay TVET College in Westlake to witness the culmination of the project that began 12 months prior. The project was hailed a success after 30 students from Blikkiesdorp received their certificates in construction and building. She praised the students for their hard work and perseverance and encouraged them to motivate those at home. The project incorporated both a short course and full-time skills development programme allowing students to choose the most suitable option. The mayor said the success of the project was in large part due to the collaboration and commitment of all the role players. “This is the first project where this partnership has actually worked.” She explained that many other initiatives had failed in the past due to a lack of communication and cooperation from stakeholders. Blikkiesdorp also known as “Tin Can Town”, was meant to be a Temporary Relocation Area(TRA), but has been housing residents for ten years. The name was derived from the tin shacks that almost 2000 residents call home. Located in Delft near the Cape Town International Airport, the community is known as a high risk area due to gangsterism. “My heart aches, I just want to get rid of that name Blikkiesdorp as soon as possible,” said de Lille. Yet another 48 students have been recruited into the project and are currently being trained at the False Bay campus. Stakeholders emphasised the need to create similar sustainable training models that could be delivered in other regions. 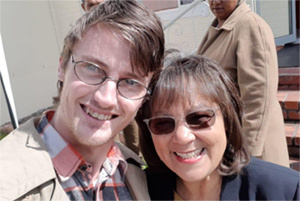 “We really hope this project can be replicated in the rest of the city,” said de Lille. ACSA General Manager Deon Cloete also announced that the company had launched additional training projects with the Malawi Camp and Freedom Farm communities. He congratulated the students on their achievement in the face of adversity and encouraged them to continue working towards their goals because “good will prevail”. “This project is about more than skills training” ,explained Acting Principal of False Bay TVET College, Mrs Karin Hendricks. According to Hendricks participating students received a “life changing” opportunity which would equip them to find jobs, become self-employed and build their own homes. Community leaders echoed her sentiments that this project would open the door to more opportunities and would ultimately enable residents to become self-sustaining and transformative influencers in their community.